2. Don’t Miss Your Chance! We are seeing so much great research on the importance of the gut bacteria or micro biome. Now we know that gut bacteria affect the immune system, gene expression, weight gain or loss and even mental function. There is a new book out called Brain Maker, by David Perlmutter, MD which makes a great case that balancing gut bacteria can prevent or treat mental and emotional issues. 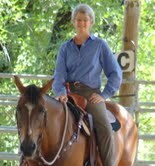 Could it be your horse’s emotional outburst at his last show could have been because of imbalance in his gut bacteria? You bet it could. Here are 3 ways to get your horse’s gut bacteria balanced. The bacteria in the small intestine extract nutrients from starches, proteins and fats. If your horse does not have enough of these bacteria he will lose weight. The bacteria in the large intestine break down complex carbohydrates into fatty acids that are also used for energy. The balance of bacteria in the small and large intestine is critical. The bacteria in the small intestine are needed for digesting but they also use up oxygen and create the correct environment for bacteria in the large intestine to flourish. Quality fat, such as from chia seeds, blue green algae or fresh grass, give your horse good omega 3 fatty acids without causing him to gain weight. Sugar and starch can be high in sweet feeds or lush pasture grass. Most good feed companies offer low starch products for horses. Pasture grass builds up sugar and starch during sunny weather so turning horses out at night or only on cloudy days is a good plan if you want to keep the good bacteria balanced. Part of the basic survival instinct is to store fat when food is plentiful and we now understand there are certain strains of bacteria that are designed to do just this. When high calorie food is abundant these bacteria flourish and build up fat stores. When calories are scarce these bacteria become dormant but leap back in numbers as soon as high calorie, abundant food is again introduced. To avoid these wild fluctuations in bacteria populations and avoid excessive fat storage you can feed grass hay in a small hole net or feeder that allows your horse to have low calorie, but nutritious, food available at all times. Feeding your horse a probiotic that provides bacteria for the small and large intestine is a great insurance policy for his health. Any stress on your horse can upset his gut bacteria balance leading to immune system problems, weight loss or gain, or mental/emotional issues. Prebiotics can also be helpful by providing nutrition for good bacteria and creating the right environment for them to grow. I like lactobacillus fermentation products such as Ration Plus. Blue green algae is also great nutrition for good bacteria. Inulin specifically feeds the large intestine bacteria. It is so much easier to keep gut bacteria balanced than to fix the damage that occurs from gut bacteria imbalance or dysbiosis. Research is showing us that it is not only physical problems that arise from gut bacteria problems. Now we know your horse’s latest emotional outburst or nervous vice could be caused by imbalance in his gut bacteria. These 3 ways to get your horse’s gut bacteria balanced will go a long way to keeping him healthy and happy.